Big Local areas are invited to reach and engage more residents by working with the Behavioural Insights Team. A new support offer for Big Local areas will explore how insights about human behaviour – from psychology and behavioural economics – can help to increase participation, impact and understanding about what motivates people to get involved. Big Local areas are invited to apply before 31 January 2018, and five will be selected to take part in the pilot project in partnership with Local Trust and the Behavioural insights Team (BIT). BIT will provide these areas with tailored expertise and intensive support as part of an exciting 12-month project. 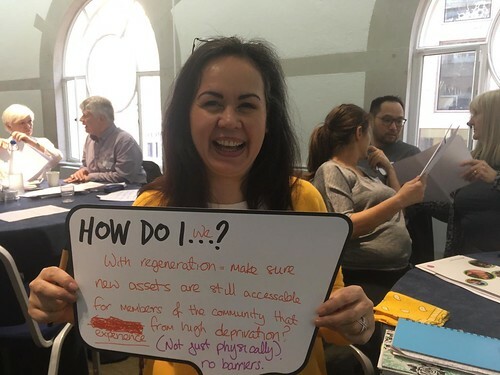 Big Local areas will work with BIT to identify objectives for their projects, which could include attracting people to join a Big Local partnership, increasing volunteer recruitment, driving up attendance at an event or building footfall at a community centre. Projects will start from March 2018.
access to fresh or innovative approaches. The priorities and interests of Big Local areas vary and one size doesn’t fit all. If support from the Behavioural Insights Team isn’t right for you, look out for more opportunities that we will be announcing soon.